Hey, y'all! 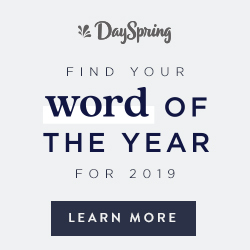 I have such a cute project to share with you today. I have a Keurig machine that my parents gave me for Christmas last year, and every morning I fix myself a cup of coffee before I head out the door to school. Of course that means I have lots of empty K-Cups to trash or recycle. 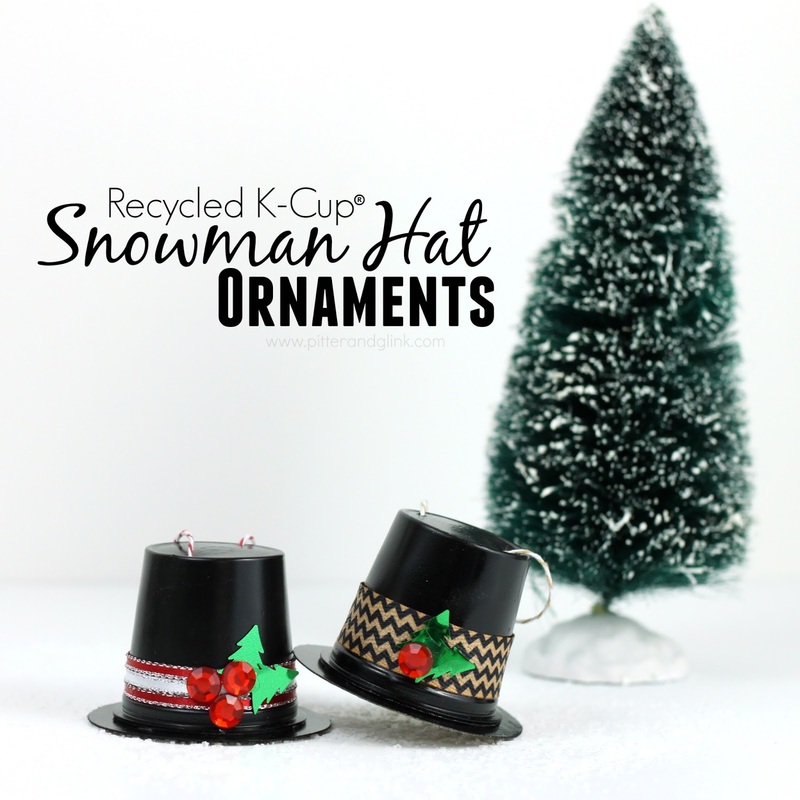 I have been itching to find a way to upcyle some of them, and that's how my Snowman Hat Ornaments were born. These little cuties are pretty easy to make. You need minimal supplies to create them. 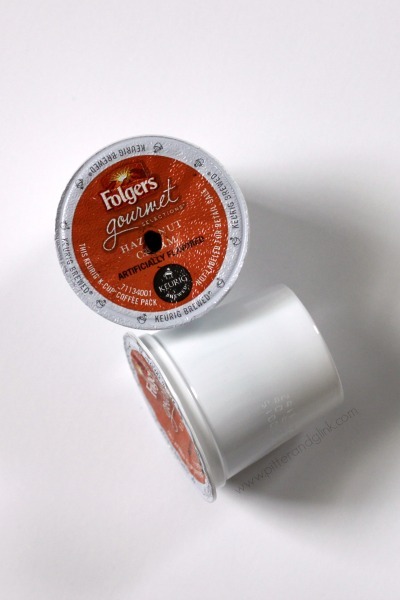 Of course, the process begins with your used K-Cups. 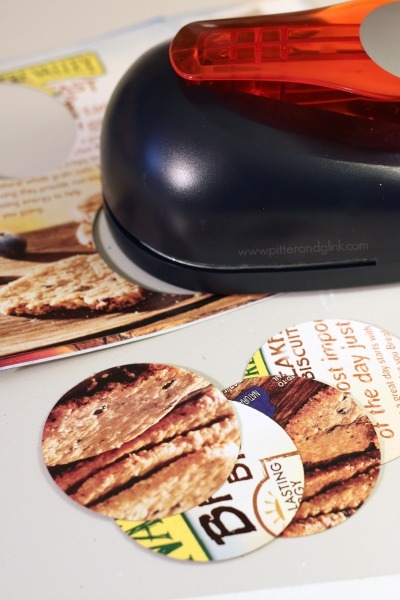 Tear the foil tops off of the K-Cups and remove the used coffee grounds and the coffee filter. Wash the cups thoroughly and let them dry. While they're drying, create the bottoms of the hats. 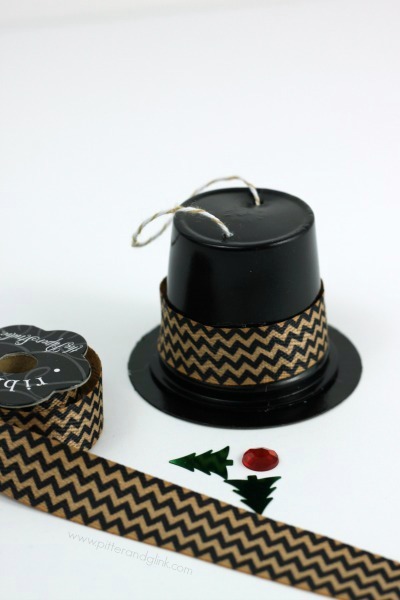 Cut off the side of a snack box and use the circle punch to create the hat bottoms. 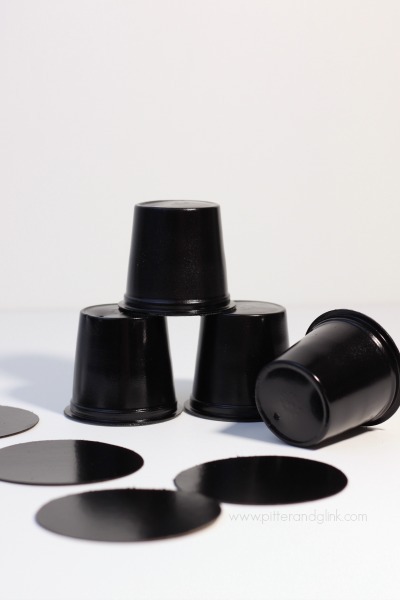 Spray the empty cups and the circles you punched with black spray paint. 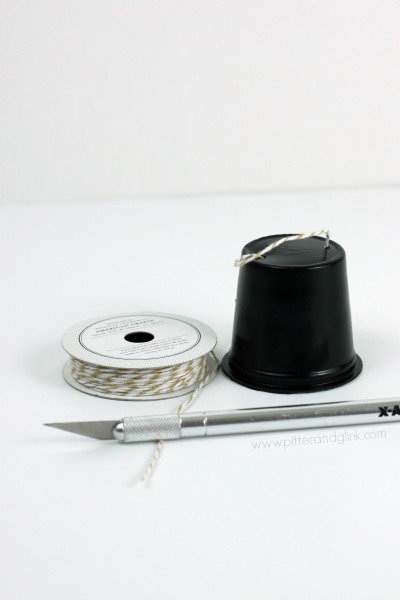 Use your craft knife to punch a hole across from the hole already in the bottom of the cup. Thread a length of twine through both holes and tie knot inside the cup. Use hot glue to attach the cup to the center of the spray-painted circle. Once the glue sets, add your trim. 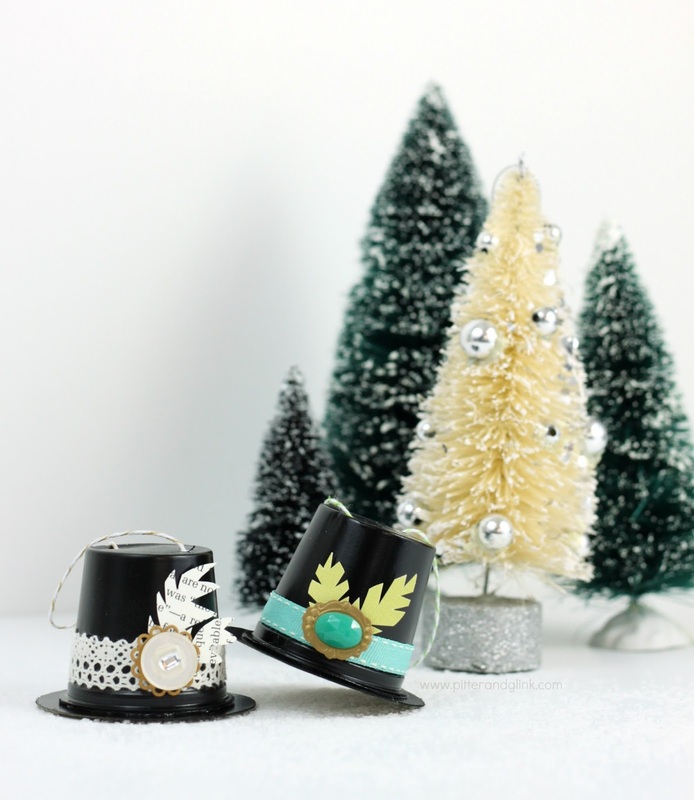 You can glue ribbon around the hat and use a rhinestone and tree table confetti to create holly for a traditional snowman look, or you can add other embellishments to create a nontraditional look. I used ribbon, lace, rhinestones, stickers, and even book pages to create my unique little hats. I think the book page and lace hat is my favorite, and the turquoise-y one makes me smile because it reminds me of the movie Elf. Nonetheless, I am just thrilled with how all of them turned out. Wouldn't this be such a fun craft night project? I already want to make some more of them myself. I'd love to see a picture if you make your own. Post a pic to my FB page, tweet me, or tag me in an Instagram comment. super cute!! I love this idea. Need to start saving our cups to make these! That is very creative! Who would have thought you can use these as a decor?! Woo Hoo a craft where I already have everything and no spending money!!!!! ;-) I will give this a try for March 17th and make leprechaun hats! These would also make cute name place tags for a table, maybe cut a slit on the top to slide the name card in and still decorate. Once again, you have given me lots of inspiration! Adorable! What size of circle punch did you use?? Was going to ask the same! 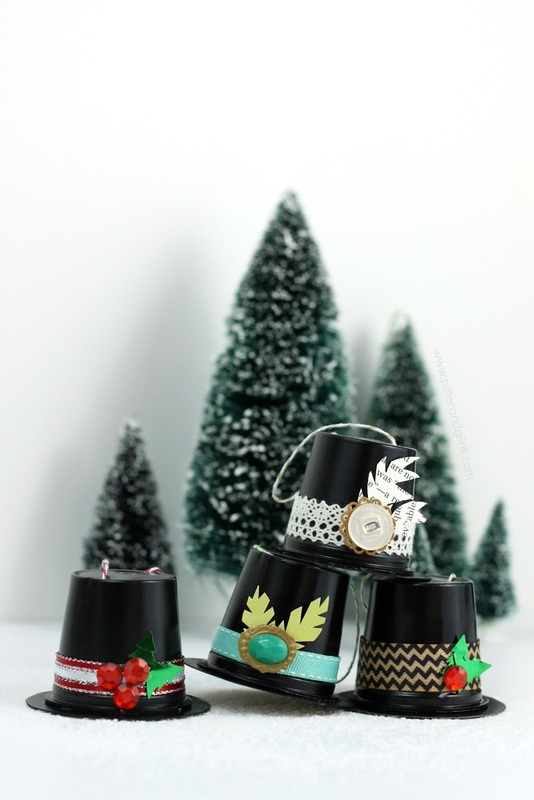 I've been wracking my brain for ways to repurpose those K-cups. This is sheer genius right here! Way to go, Bethany! 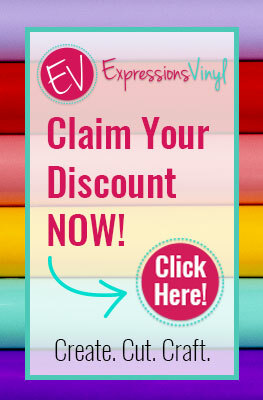 These are adorable and wanted to let you know I'm featuring them when my party opens up tonight! Oh my goodness. These are adorable. What a genius recycled craft! What a nice craft with the grandchildren. They love to recycle. With a little tweaking I bet we could make pilgrim hats for Thanksgiving. Wouldn't they make cute placecards? How sweet. They could be used as a table gift if filled with sweets etc and the brim made with a removable 'door' in it. I love these and have begun saving my k cups. I love the little book page "leaves" you cut out. Is there a cut file? or did you do these free hand? I think I am going to make mini Easter baskets with them and put jelly beans etc...too cute and thank you so much for the inspiration. Oh my gosh...thanks for this idea!